This post is sponsored by The Better Chip. All opinions are my own. Chips are so delicious to munch on in the summertime but so many are filled with artificial ingredients and covered in messy powder. 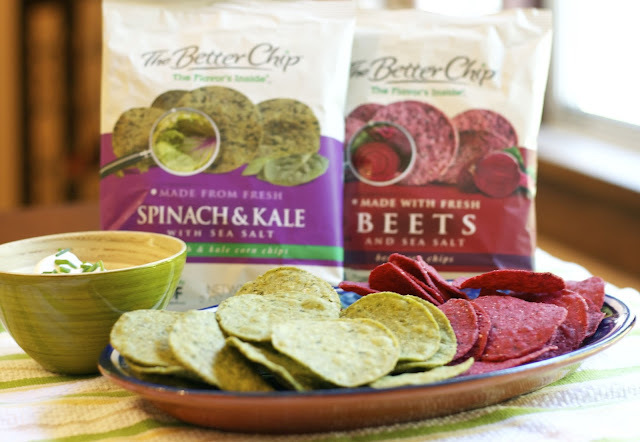 The Better Chip is an all natural gluten free and non-GMO chip that is made by cooking REAL vegetables inside of a double-corn masa instead of being covered in a messy powder of vegetable flavor. All of the chip flavors go great with guacamole, cheese and veggie dips, hummus and fresh salsas. The chips are hearty so they stand up to substantial dips like the sour cream chive I made. 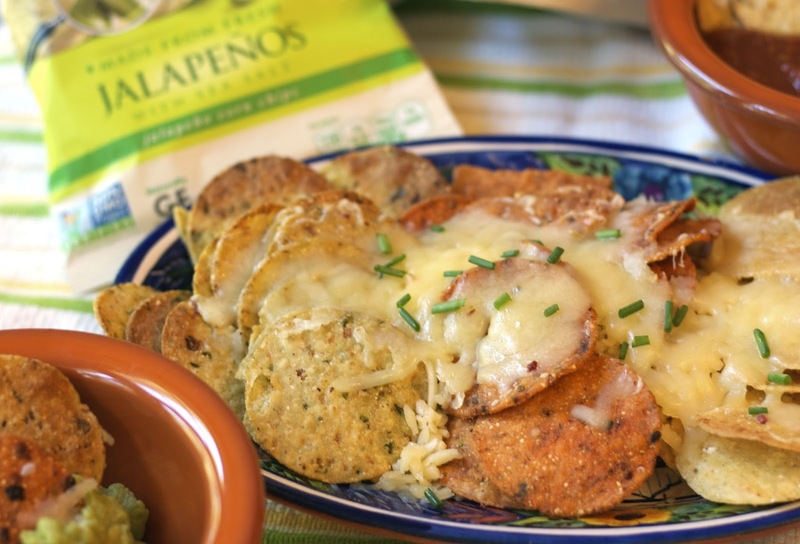 The spicy Jalepeños and the Chipotles Chips are excellent as nachos. 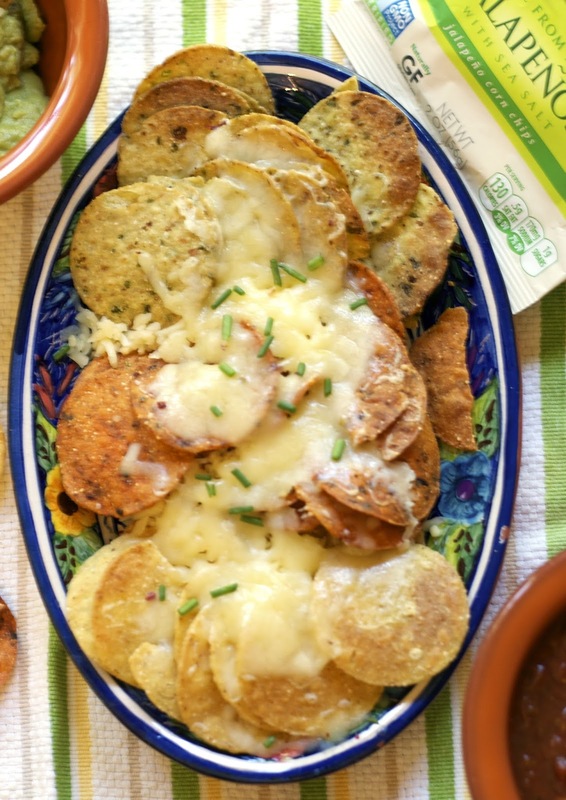 The hot and smoky flavors of the chips were not hidden by the cheese. 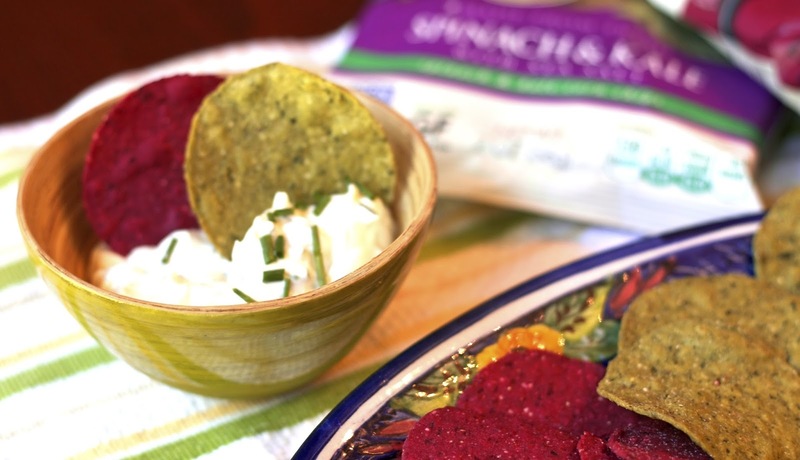 The Corn, Beet and Spinach & Kale Chips are fantastic with the Sour Cream and Chive dip. My daughter thought the colors of the chips made them especially nice to put out at a party. I guess seeing naturally colored chips is a novelty for her... it shouldn't be! Join me in switching to this all natural chip... it is The Better Chip! 2) Mix the chives, salt and pepper with the sour cream. 3) Let sit for 15 minutes before serving. Great with chips and raw vegetables.